Braselton, Ga. (7 October 2017) – What looked to be a strong run to the finish of the 20th annual Petit Le Mans for the No. 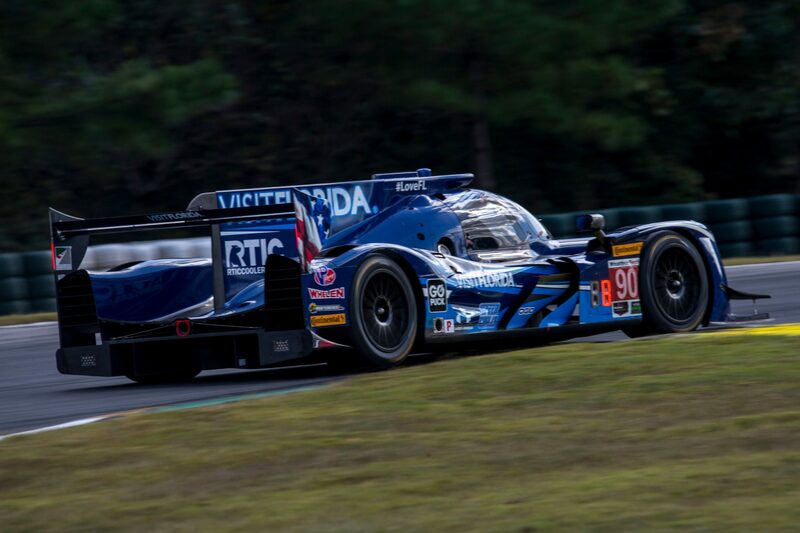 90 VISIT FLORIDA Racing Gibson powered Ligier JS P217 at Road Atlanta on Saturday, ended in heartbreak as the team was forced to retire the car just 25 minutes from the end of the 10-hour race. Hoping to build on the team’s victory in the previous IMSA event at Mazda Raceway Laguna Seca, the trio of Renger van der Zande, Marc Goossens and Mazda Motorsport’s Jonathan Bomarito combined for a strong run through 389 laps of competition for the Ligier Prototype. van der Zande delivered a strong first stint after starting from fifth on the grid and was able to manage his Continental tires well. He expertly maneuvered through traffic and moved up to third before handing the car over to Goossens. Following the pit stop, “The Goose” worked to bring the No. 90 VISIT FLORIDA Racing machine back up through the field but was hit by the No. 6 Prototype which caused damage to the exhaust. As the race elapsed, that damage began to hinder the car’s power output. Bomarito – who was on loan from Mazda Motorsports for the IMSA WeatherTech SportsCar Championship finale – hopped in the car just after the halfway mark and stayed right on pace despite his limited time behind the wheel of the Ligier chassis. Bomarito moved from sixth to third on the following restart. During the final stages of the race the team endured rising temperatures in addition to substantial power loss from the exhaust damage. van der Zande, who was tabbed as the team anchor, did everything he could to make it to the checkered flag, but the team made the decision to bring the car behind the wall before the rising temperatures escalated. 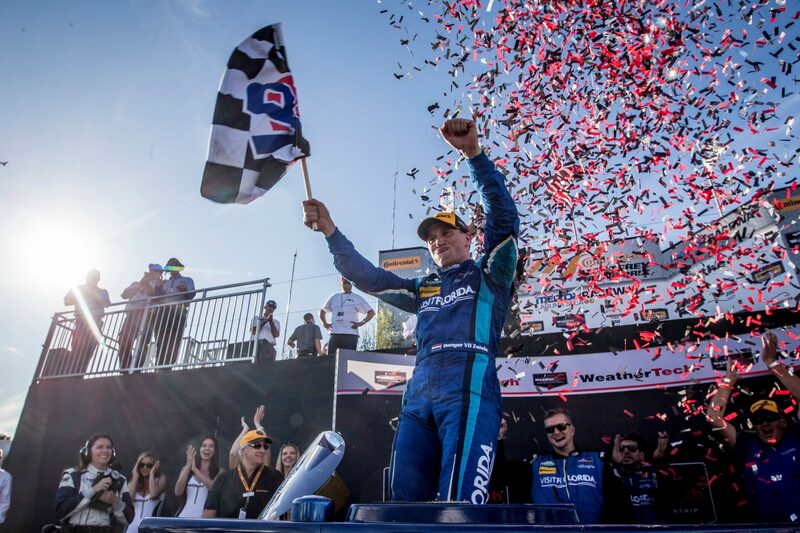 After scurrying to have the car ready for the Mazda Raceway Laguna Seca round following the flooding at the team’s shop last week, the victory is a special one for the entire VISIT FLORIDA squad. Team Owner Troy Flis was thrilled with his team’s performance and credited the organization’s partners with the victory. 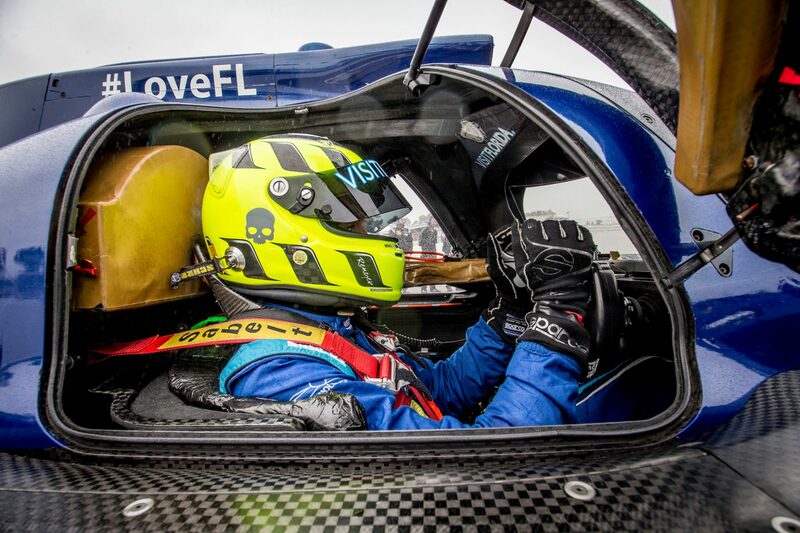 The victory was the first of the season for a non-DPi configuration Prototype entry as the Daytona Beach-based team earned the first North American victory for the Ligier JS P217 LMP2 chassis. The achievement was all the more remarkable given that the team only took delivery of the car in August and had only one race worth of experience with the Ligier package ahead of the Monterey weekend. VISIT FLORIDA Racing will return for the season-finale of the 2017 IMSA WeatherTech SportsCar Championship in two weeks at Road Atlanta for the 10-hour Petit Le Mans. 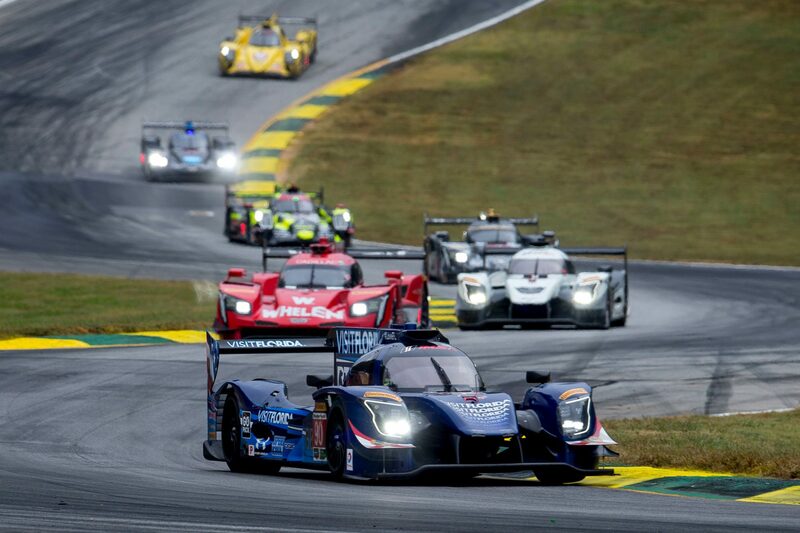 VISIT FLORIDA Racing finished the 10-hour endurance event seventh. Bomarito was a welcome addition to the team and though disappointed with the end-result, was pleased with his sixth Petit Le Mans event. Though not the result the team had been looking for, VISIT FLORIDA Racing team owner Troy Flis is proud of the improvements that the team has made especially with how quickly the crew and drivers were able to adapt to a new chassis change midway through the season.